If you’re looking for a pup partner in crime for your active lifestyle, certain breeds are more enthusiastic than others about embarking on epic hikes and long beach runs. 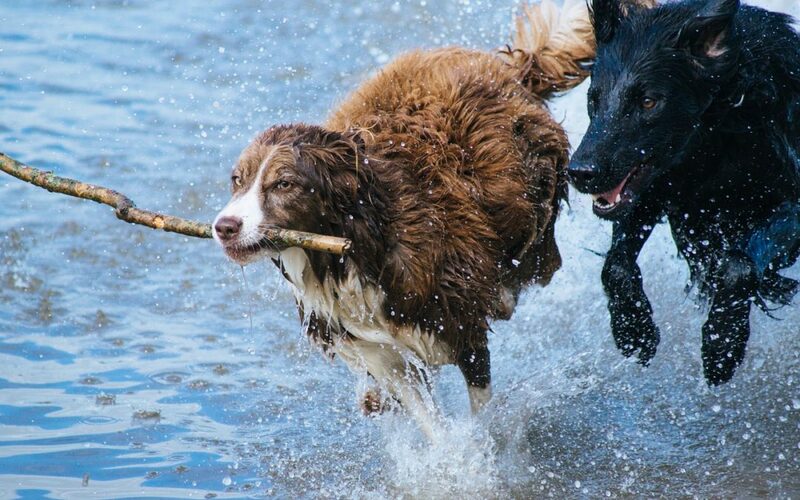 While some breeds prefer to couch and snack, the best dog breeds for active people can enhance your go-go-go lifestyle. And, high-energy dogs tend to be better behaved if they get a lot of exercise, which is a bonus for both pooch and human. Additionally, a study published in the Journal of Physical Activity and Health found that people who engage in physical activity with their dogs are two and a half times more likely to meet their fitness goals than those who work out solo. The big question when meeting new people: Dog or cat lover? What Does My Dog Think I’m Doing When I’m Watching TV? 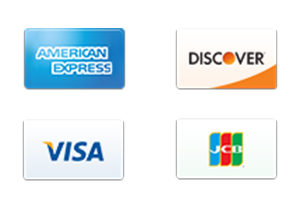 Using this Site indicates that you accept these Terms. If you do not accept these Terms, do not use this Site or Company's (as hereinafter defined) products and services. This Site is owned and operated by KnuGroup, Inc. ("Company", "we", "our" or "us"). Company reserves the right to revise or remove any part of the Terms in its sole discretion at any time and without prior notice to you by updating this posting of the Terms. You thus should visit this page periodically for changes. This Site is continually under development and changes to this Site may be made at any time. Any changes to the Terms are effective upon posting to this Site. If you disagree with the Terms, your sole remedy is to discontinue your use of this Site. Your continued use after a change has been posted by Company constitutes your acceptance of such change. As such these Terms shall be considered legally binding and shall govern your use of the Site, as well as your purchase of any Company products. Any persons aged 13-17 must only use the Site and Company's products and services if under the close supervision and direct involvement of a parent or guardian. Users are prohibited from posting any content that interferes with the full use of the Site and enjoyment by other users, including information or content that is erroneous, threatening, unlawful, libelous, defamatory, obscene, sexually oriented, invasive of one's privacy, scandalous, inflammatory, pornographic, false, profane, encourages involvement in unlawful or criminal conduct, gives rise to civil liability, or otherwise violates any law. Company agrees to fully cooperate with law enforcement officials or court orders requesting or directing Company to disclose the identity of persons posting any such information or materials. You agree that you will comply with all applicable local, national, and international laws and regulations that relate to your activity on this Site, including without limitation, laws regarding the transmission of technical data and online activity. You must exercise caution, good sense and sound judgment in submitting messages to be posted to a Forum. You are responsible for any material you submit in a post. You agree, represent and warrant that any information you post is: truthful, accurate, not misleading and offered in good faith; not invasive of another's privacy, abusive, threatening or obscene; not infringing upon the copyright, trademark or other intellectual property rights of others. You further agree, represent and warrant that you have the right to post or transmit such information. The content of such information, whether publicly posted or privately transmitted, is your sole responsibility. You may delete any of your messages posted to a Forum at any time by sending an email to support@knugroup.com and requesting that the particular message be deleted. Company reserves the right at any time and for any reason to modify, discontinue, or suspend the operation or content of the Site, or any part thereof, temporarily or permanently, including user accounts, including the availability of products and services purchased by user. You agree that Company will not be liable for any consequences, intended or unintended, of such changes. Any modifications of the Site's content, products, prices, or other information that is not authorized or approved by a current employee or contractor of Company shall not be considered authoritative, nor shall Company be held liable for such unauthorized information. This Site may provide links to other sites and/or resources, including advertisers ("Third Party Websites"). Company has no control over these sites and/or these companies. 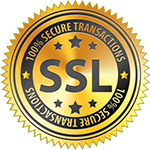 Such links are provided solely as a convenience to users, and such links to other companies that are included on the Site should not be construed as an endorsement, affiliation, or approval by Company of the site or company's content, products, or services. You agree to access and utilize any Third Party Websites at your own risk. Company shall not be held responsible or liable for the availability of any and all links to Third Party Websites, including the content, advertising, products, services, or other materials available through such sites. Upon entering a Third Party Website, you shall be subject to any applicable governing terms of such Third party Websites. Please review the terms of the Third Party Websites before proceeding to use them. Nothing contained in the Terms or on the Site shall be construed as conferring any right or license, expressly, by implication, by estoppel, or otherwise, in any of Company's intellectual property rights. Any rights not expressly granted herein are reserved. All design rights, databases and compilation and other intellectual property rights, in each case whether registered or unregistered, and related goodwill are proprietary to Company. A statement by you that the notification is accurate, and under penalty of perjury, that you are the copyright or other intellectual property owner or authorized to act on the copyright or other intellectual property owner's behalf. WE CAUTION YOU THAT UNDER FEDERAL LAW, IF YOU KNOWINGLY MISREPRESENT THAT ONLINE MATERIAL IS OR IS NOT INFRINGING, YOU MAY BE SUBJECT TO HEAVY CIVIL PENALTIES. THESE INCLUDE MONETARY DAMAGES, COURT COSTS, AND ATTORNEYS FEES INCURRED BY US, BY ANY COPYRIGHT OR OTHER INTELLECTUAL PROPERTY OWNER, OR BY ANY COPYRIGHT OR OTHER INTELLECTUAL PROPERTY OWNER'S LICENSEE THAT IS INJURED AS A RESULT OF OUR RELYING UPON YOUR MISREPRESENTATION. YOU MAY ALSO BE SUBJECT TO CRIMINAL PROSECUTION FOR PERJURY. User agrees to indemnify and hold harmless Company, its parents, subsidiaries, directors, officers, employees, agents, suppliers, affiliates, and contractors from and against any and all claims, actions, demands, losses, damages, disputes, and costs of any kind, including without limitation any attorneys' fees and costs related to litigation, resulting from or in any way connected with the use of this Site, information you submit or transfer through the Site, your violation of these Terms, and your connection with this Site. COMPANY'S LIABILITY FOR PAYMENT TO YOU, FOR ANY CAUSE OF ACTION OR CLAIM WHATSOEVER, AND REGARDLESS OF THE FORM OF THE ACTION, WILL AT ALL TIMES BE LIMITED TO THE AMOUNT PAID BY YOU AND RECEIVED BY COMPANY, IF ANY, WITHIN THE 60 DAYS PRECEDING THE DATE IN WHICH YOUR CLAIM AND/OR CAUSE OF ACTION FIRST BECOMES KNOWN TO COMPANY. THE SITE IS HEREBY PROVIDED ON AN "AS IS" AND "AS AVAILABLE" BASIS. YOU EXPRESSLY AGREE THAT THE USE OF THIS SITE IS AT YOUR OWN RISK. TO THE FULLEST EXTENT PERMISSIBLE PURSUANT TO APPLICABLE LAW, COMPANY DISCLAIMS ALL WARRANTIES, EXPRESS OR IMPLIED, INCLUDING, BUT NOT LIMITED TO, IMPLIED WARRANTIES OF MERCHANTABILITY AND FITNESS FOR A PARTICULAR PURPOSE. APPLICABLE LAW MAY NOT ALLOW THE EXCLUSION OF IMPLIED WARRANTIES, SO THE FOREGOING EXCLUSION MAY NOT APPLY TO YOU. If any of the provisions in the Terms are found by a legitimate court of law or other binding authority or governance to be considered invalid, you agree that such provision shall be deemed severable from the Terms, and every attempt shall be made to give effect to the parties' intentions as reflected in that provision. All remaining provisions contained in the Terms shall continue in full force and affect, and such severability shall not affect the validity and enforceability of all remaining provisions, without limitation. This Site is under the complete control of Company. Company reserves the right without notice and in its sole discretion, for any reason or for no reason, to terminate any user's ability to use the Site, and may block, prevent access, or limit your activity on the Site. You agree that Company shall not be liable for any termination of your use of or access to the Site. In the event of any such termination or limitation of use or access to the Site, you agree that all the provisions of the Terms without limitation shall survive any such termination. Upon any such termination, you must destroy all materials obtained from the Site and all copies thereof. You agree that if your use of the Site is terminated pursuant to these Terms, you will not attempt to use the Site under any name, real or assumed, and further agree that if you violate this restriction after being terminated, you will indemnify and hold us harmless from any and all liability that we may incur therefore. This Site is controlled and operated by Company from its offices within the State of Pennsylvania. Company makes no representation that materials in the Site are appropriate or available for use in other locations. Those who choose to access this Site from other locations do so on their own initiative and are responsible for compliance with local laws, if and to the extent local laws are applicable. Access to this Site from jurisdictions where the contents of this Site are illegal or penalized is prohibited. The Terms and the resolution of any dispute related to the Terms, the Site, or products purchased from Company shall be governed by and construed in accordance with the laws of Pennsylvania, without giving effect to any principles of conflicts of law. Any legal action, event, or proceeding between Company and you related to the Terms shall be brought exclusively in a federal or state court of competent jurisdiction sitting in Pennsylvania, and you agree to submit to the personal and exclusive jurisdiction of such courts. You also agree to attempt to mediate any such dispute and to abide by all limitations of liability contained therein. The section titles used in the Terms are purely for convenience and carry no legal or contractual effect. Nothing in the Terms shall be construed as creating a joint venture, partnership, employment, or agency relationship between you and Company, and you do not have any authority to create any obligation or make any representation on Company's behalf. You may not assign or transfer any rights or obligation of the Terms by operation of law or otherwise without Company's prior written consent. Subject to the foregoing, the Terms will be binding on, inure to the benefit of, and be enforceable against you and Company and their respective successors and assignees. This is the entire agreement between the parties relating to the subject matter herein and shall not be modified except in writing. Notwithstanding the foregoing, Company reserves the right to make changes, modifications, emendations, amendments, additions, and deletions to the Terms at its sole discretion, without notice to you. Any changes will be indicated by altering the "updated and effective" date at the beginning of the Terms. Your continued use of the Site following the updating of the Terms constitutes your acceptance of any and all changes. Accordingly, users are under obligation to find out if any updates to the Terms have been made since their last visit to the Site. The Terms supersede any other agreements previously published, and any other representations or statements issued from Company, whether oral, written, or otherwise. Company may assign, transfer, or sub-contract any of the rights or obligations under the Terms at Company's discretion.